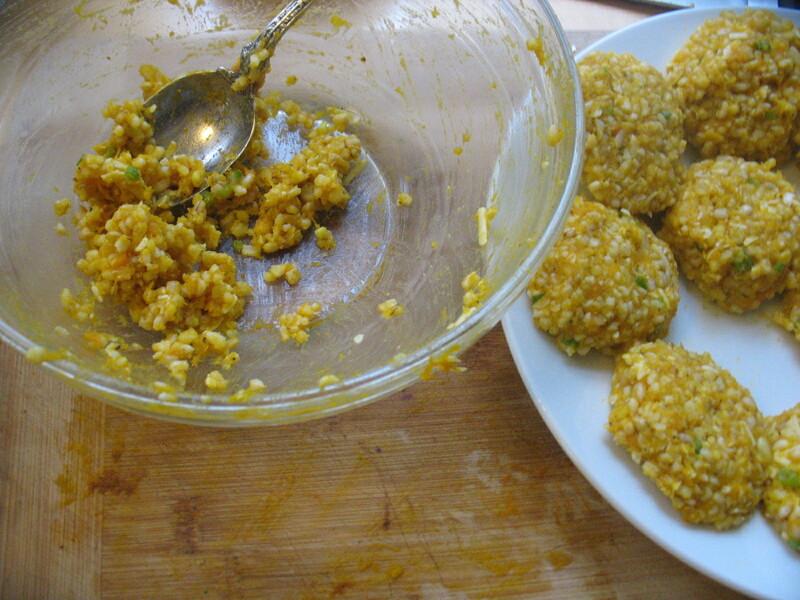 Previously frozen brown rice thawed and mixed with roasted squash and seasonings makes for a delicious fritter. Mid last week I had one section of that beautiful, giant squash leftover. I had unearthed a bag of cooked, frozen rice–rice that I had almost dumped on the compost because I inadvertently left the burner on when I went to pick up my son and found very, very soft though not burned, short-grain brown rice upon my eventual return. In the back of my mind lurked a comment my mother had made about rice patties held together with mashed squash. Finally, I probably shouldn’t have been cooking at all, let alone cutting lumpy, hard, winter squash into wedges, as I had cut my finger rather badly two days earlier cutting onions. So I was clumsily operating one-handed, however, the resulting fritters with their cool, tangy sauce (that allowed the sad cilantro in the crisper to go out with a bang), were good, really good. I even invited neighbors over last-minute to share the fritter bounty. Some minced green onion, ground cumin, a bit of grated sharp cheddar and an egg were all I added and then I pan-fried them in just a little olive oil until deeply golden brown on both sides. I took my time–the cut has slowed me down just a bit–and let them cook about 7 minutes on either side which I think was the key to them sticking together and developing such a good crust. The variations on this basic idea are once again manifold. I can image most any fresh herb, in great quantity or other spices, other grains or even other mashed vegetables as long as they’re not too watery. I’m sure sweet potatoes would be good or carrots, etc. 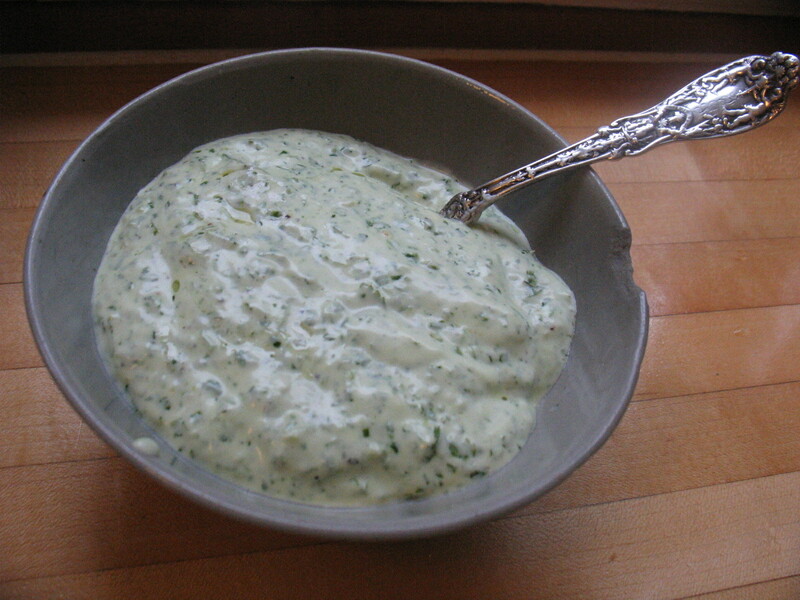 Cilantro yogurt sauce–simply toss a half bunch or so of cilantro (stems and all) in a food processor with some Greek yogurt, a clove or garlic, a little lemon juice and some salt and you have the perfect topping/sauce for most anything. I loved the combination of these fritters and my all-purpose cilantro yogurt sauce. I adapted it a bit to keep it thicker, more like a topping than a sauce. I omitted the olive oil and just used Greek yogurt (whole milk if you can), half a bunch of cilantro (stems and all), clove of garlic, lemon juice, and salt to taste. I actually think my overcooked rice (see above) served me very well texture-wise, though I’m sure it will work with properly cooked rice too! And quantities, as per usual, are just suggestions. Mix all of the ingredients together thoroughly. Shape them into patties with your hands. I wouldn’t make them too small since they won’t stick together as well. You can see my size in the photo above. Heat 2 tablespoons of oil in a large, heavy skillet over medium high heat. Place as many patties in the skillet as you can without crowding. Fry for at least 5 minutes per side to develop a good crisp crust but be careful not to burn. You’ll likely need to turn your burner down to medium. Repeat on the other side. Serve with a generous dollop of cilantro yogurt sauce. P.S. 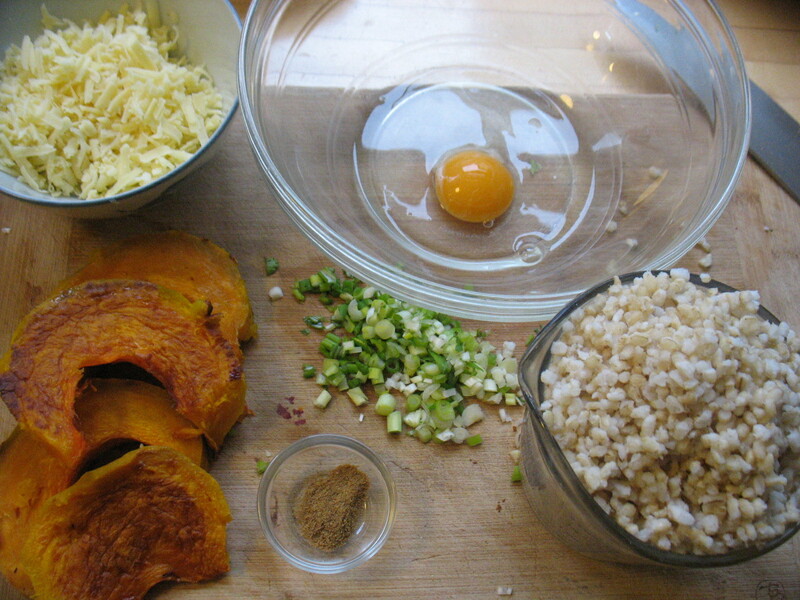 I’ve posted two new classes: Strong Food: Fun, Simple, Veggie-centric Dishes for the Whole Family and Using Your Prepared Pantry: What do with Frozen Rice, Beans and other Goodies in your Freezer the latter in part inspired by the above impromptu recipe. Would love to have you join me.